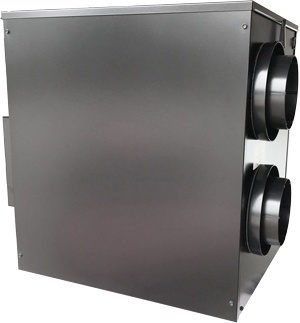 UltimateAir is the most efficient whole-house FreshAir system. We’re proud to manufacture ventilation products that improve Indoor Air Quality and help families live more sustainable lives. Made in beautiful Southeastern Ohio, our products wear the "Made in the USA" badge. UltimateAir has practiced environmental stewardship since day one by collaborating with designers & builders to construct air tight and energy efficient homes. The UltimateAir team is dedicated to providing state-of-the-art products for homes around the world. In 1989, the UltimateAir parent company, Stirling Technology, developed the patented rotary core heat exchanger based on development of today's Stirling engine pumps and generators. The goal was to develop a whole-house ventilation system requiring little energy to operate. It was here in Athens, Ohio where the UltimateAir RecoupAerator® was born. UltimateAir is now the exclusive manufacturer for this patented technology in North America and Europe. UltimateAir’s parent company, began as a renewable energy research company based on years of expertise with Stirling engines. Stirling engines run on any external heat source like solar or bio mass. Invented in the late 1800s by a Scottish minister named Robert Stirling. Stirling Technology systems are capable of powering homes in the US & small villages in underdeveloped countries. Today, Stirling Tech continues to develop patented systems and license its technology throughout the world. Don’t take our word for it– UltimateAir® has received numerous industry and environmental awards including winner of the Top 10 Green Products and Dealer Design Silver Award winner. Click here to learn more about what UltimateAir® can do for you. Learn how you can equip your home with an UltimateAir RecoupAerator® and start conserving energy on Ventilation!